Today I brought along some porridge, the best basic recipe, which is gluten free and can be made vegan. You may think that this is a simple recipe, but I let me tell you, I tried many versions before I was finally happy to post. You know, because I only want to post the best. But I think that’s the tricky party about basic recipes, for them to really be versatile, for them to work in many different kitchens, you need to have it bullet-proof. I have come to enjoy porridge when I spent a gap year in Canada after highschool. Porridge was not really in fashion in Germany at that point, the literal German translation of porridge is oatmeal slime. Do I need to say anything else? Who calls food slime? Anyway, so I am delighted to say that fifthteen years later porridge has become much more popular again in Germany, probably also because it is a gluten free breakfast, which can be made vegan very easily and it is extremely healthy and keeps you going. I love eating warm breakfast, I find it extremely satisfying. For that reason porridge is really meant for me. Overnight oats are not that bad either, but I will always go for porridge instead. I find it is the perfect way to start the day. I am so excited to finally be sharing this recipe for Colombian buñuelos! 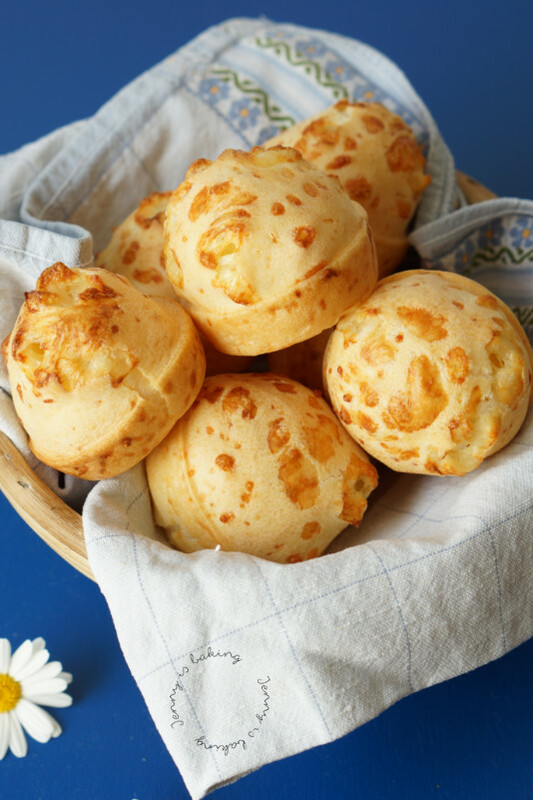 Colombian buñuelos are, at least in my opinion, so much better than Mexican buñuelos, they are gluten free as they are prepared with cornstarch and tapioca flour and they do contain cheese, lots of cheese. Do I need to say anything more? You may have wondered why I barely ever introduce bread on my baking blog as I do today with this Italian bread with semolina and olive oil. Yes, there are a few recipes, such as this farmer’s bread, these Danish buns with yoghurt, or homemade croissants. You may think that I mainly eat cakes and cookies, but that is definitely not true. There is a very simple reason why I barely publish bread recipes. The reason is my beloved hubby who is the master of bread-baking. He even has baking running in his blood, his grandfather was the baker of the entire village. So you can probably imagine that he is very good at baking bread, much better than me. Well, at least today. His beginnings were rather humble, I distinctly recall when I told him about the fact that yeast likes it warm and cozy. I also remember when we made our first yeast bread together. He very awkwardly punched the bread and asked me how I knew when the right consistency was reached. But soon after his humble beginnings he transformed to an excellent bread baker. He works in IT, he is a computer scientist and for that reason he did a lot of research on bread baking, he did experiements and in general loves a very scientific approach to baking. One blogger who definitely contributed to him becoming a master is Lutz from the blog Plötzblog (in German). Lutz also has an extremely scientific approach to baking, he even tells you exactly at which temperature the bread has to rise. His precise language and very scientific recipes were music to the ears of my hubby. 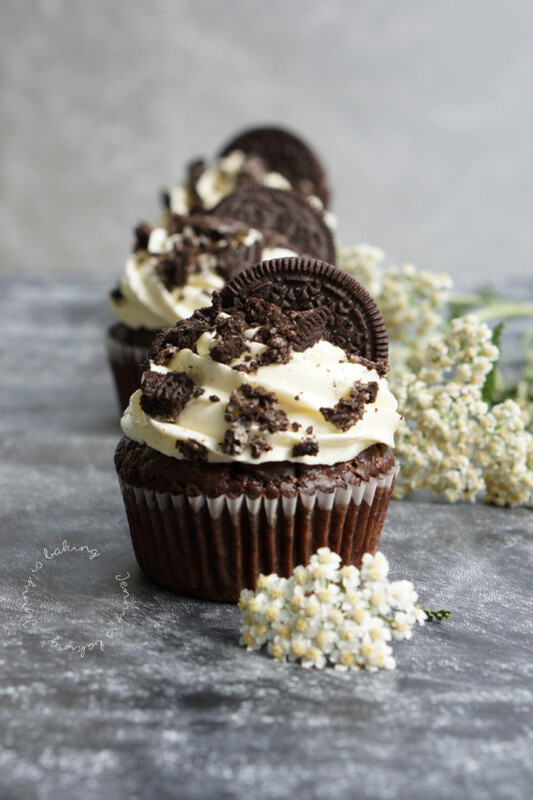 Vegan Oreo cupcakes! Yes, you read right, vegan cupcakes. You may wonder why I am posting a vegan Oreo cupcake recipe. 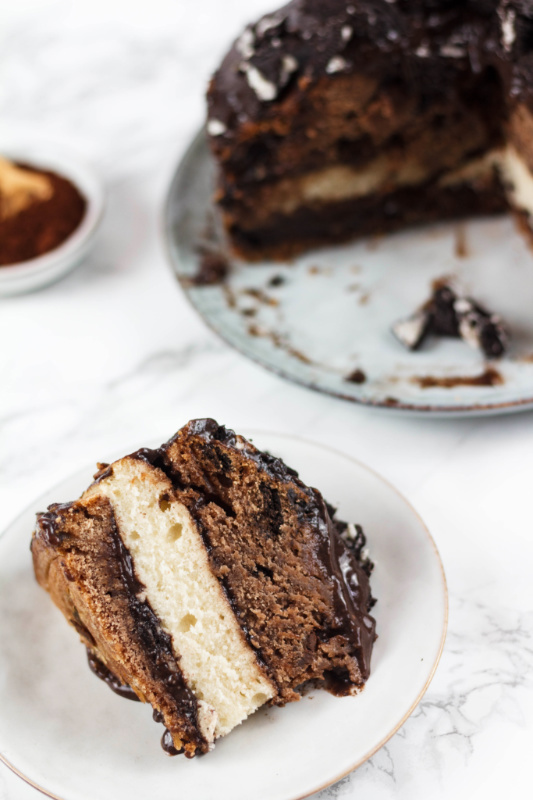 Well, the thing is that one of my most popular recipe of all times is this vegan Oreo cake Ramona was kind enough to present here as a guest blog entry. 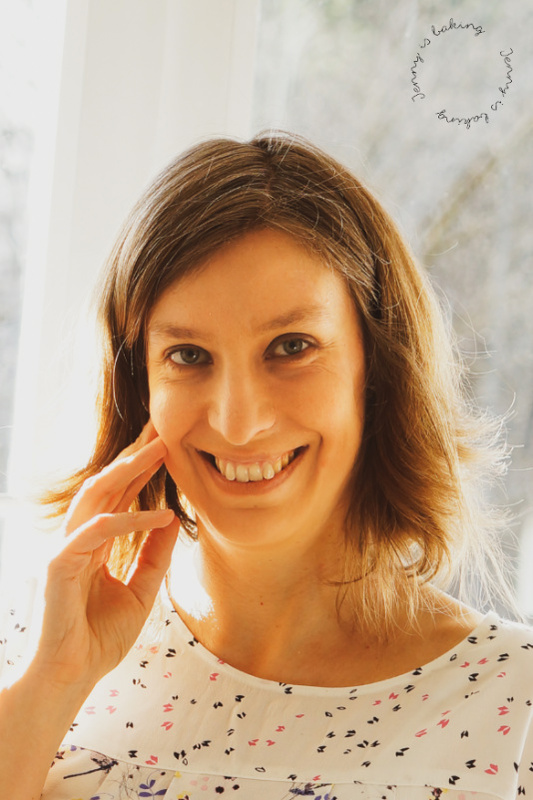 She has a full vegan blog, if you are interested, check out www.somegreenlife.com and you will find tons of vegan recipes. So I figured, if people enjoy the vegan Oreo cake, they may as well enjoy Oreo cupcakes. And no, I didn’t just take her recipe and made cupcakes out of it. That would have been way too easy. Instead I looked for a vegan cupcake recipe, which I found here. I added some chocolate chunks for good measure. And then I wanted to use Ermine frosting. That’s frosting prepared with a flour base to thicken the butter/margarine and make it pipable. I used the non-vegan option in these lavender cupcakes and also in order to frost a cute cookie monster on this non-vegan cookie cake. Ermine frosting is slowly becoming my favorite frosting as it is not as sweet and, as you can see here, also is great for vegan buttercream. This time I decided to use a real vanilla bean (yes, they are expensive) to get really nice vanilla flavor. About a year ago I tried a mermaid-themed cake for the first time. Back then I simply piped some meringue circles and stacked them on top of each other. 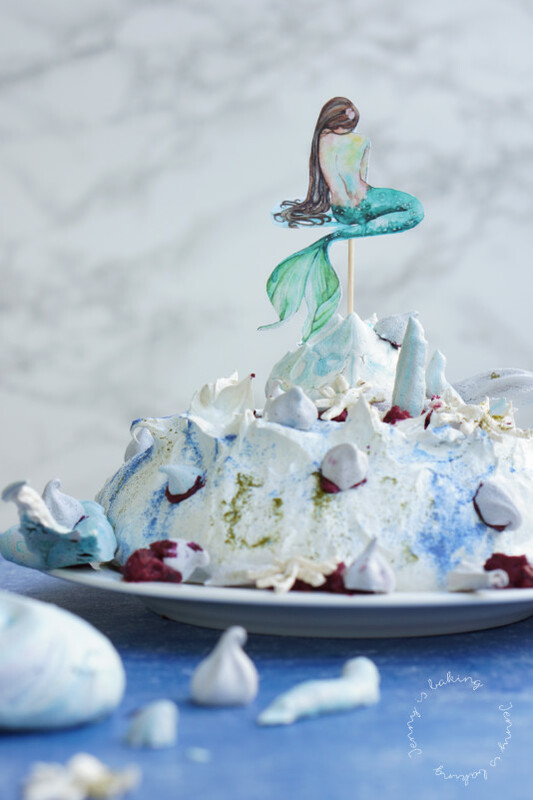 But this time I thought, why not go with pavlova in order to create this mermaid pavlova instead. Why and what this all about, I will explain below. Has it ever happened to you that you were checking strawberry macaron recipes and you thought that the bright colors they came in were actually real? How disappointed was I when I learned that about 90% of all the color is actually from food coloring! That’s why today I am going to give you the real deal. 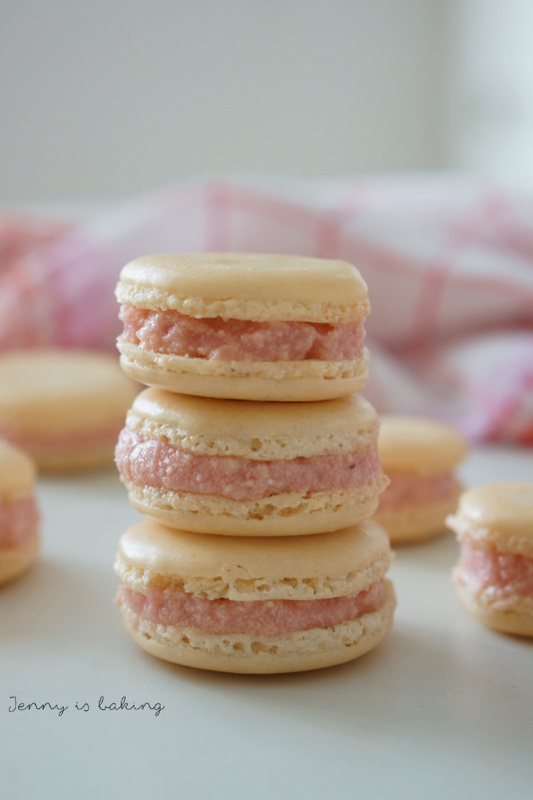 These strawberry macarons really taste like strawberry because, well the buttercream IS full of strawberries. I didn’t color the macaron shells red, well, because I am hosting a blog event, in which I ask you not to use artifical food coloring when presenting a recipe in mainly one rainbow color and because this would be fake. 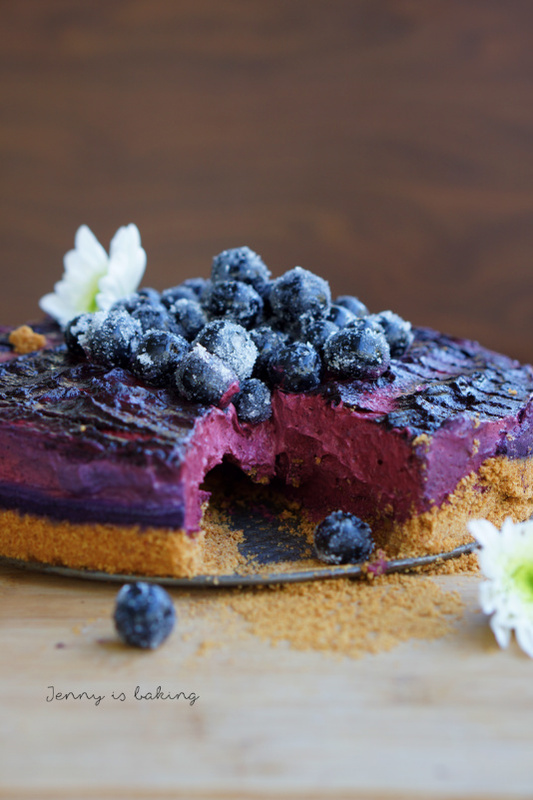 This blueberry cheesecake is almost a no-bake cake and does not contain any refined sugar. All its wonderful color and flavor comes from blueberries. I am sure you will love it as much as we did. 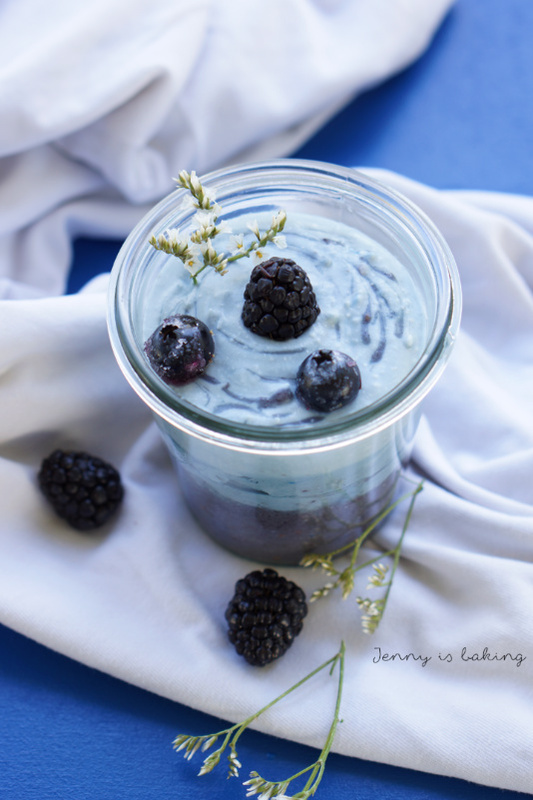 It consists of an easy two-ingedient cookie base and a creamy blueberry mousse. The best of all, you can make it truly vegetarian, I give tips to make it with agar agar, which is a vegetarian jelling agent. Feel free to use gelatine, if you are more familiar with it, but I actually prefer agar agar. 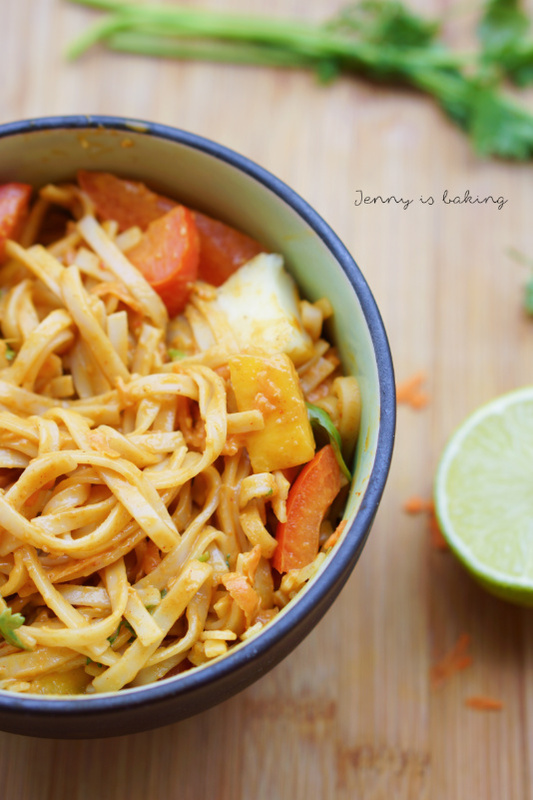 I am also posting this recipe as I am hosting the blog event “Colorful Food.” I basically invite you to create a recipe in one of the seven rainbow colors: red, orange, yellow, green, blue, purple, and pink. If you would like to learn more, please check here. Today I am presenting, you guessed it, PURPLE! I first started with red strawberry pancakes, which were followed by cute little mango mini cakes for orange, lemon soufflé inside a lemon for yellow, a very green kiwi sheet cake, a spirulina and blackberry smoothie for blue (vegan! 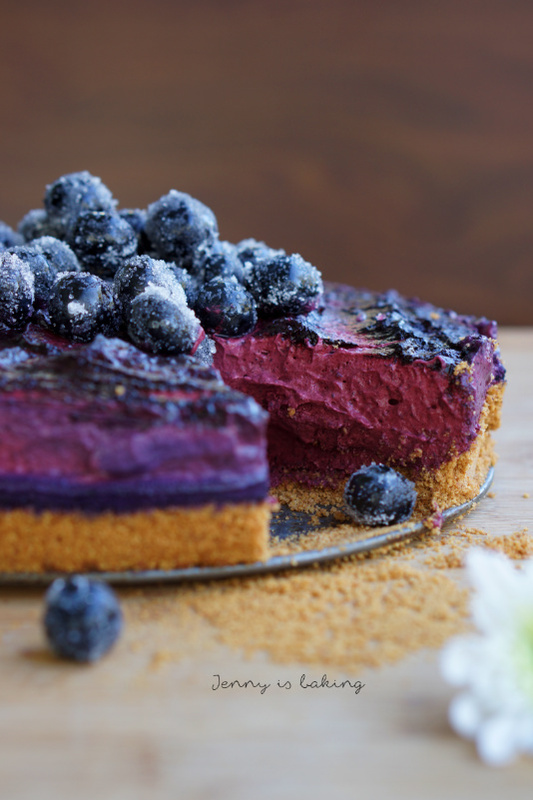 ), aaaaaand, today this blueberry cheesecake for purple. As you can see, we are still missing pink, so be sure to check back! My friends, I finally made another vegan recipe again, a vegan spirulina and blackberry smoothie. Have you ever heard of spirulina? I hadn’t, it is an algae that is rich in nutrients, vitamins and proteins, one of those “superfoods.” I decided to order some blue powder on Amazon because I am currently organizing the blog event “Colorful Food.” The idea is to create a recipe in one of the seven rainbow colors: red, orange, yellow, green, blue, purple, and pink. As I am the host of the event, I had to of course also represent all colors on my blog. Below you can see the colorful fruit pizza that started the event with all rainbow colors, followed by red strawberry pancakes, orange mango mini cakes, yellow lemon soufflé, green kiwi sheet cake and today a BLUE breakfast smoothie. You can probably imagine that blue was scaring me because I ask for no additional food coloring to be used, so I looked for naturally blue ingredients. 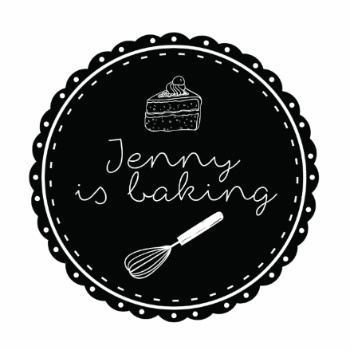 That’s hard if you mainly focus on fruits like I do as this is a baking blog. Red cabbage apparently can turn blue, if done correctly, but that I didn’t want to try. So I came across spirulina, normally algae is green, but apparently this one is naturally blue.